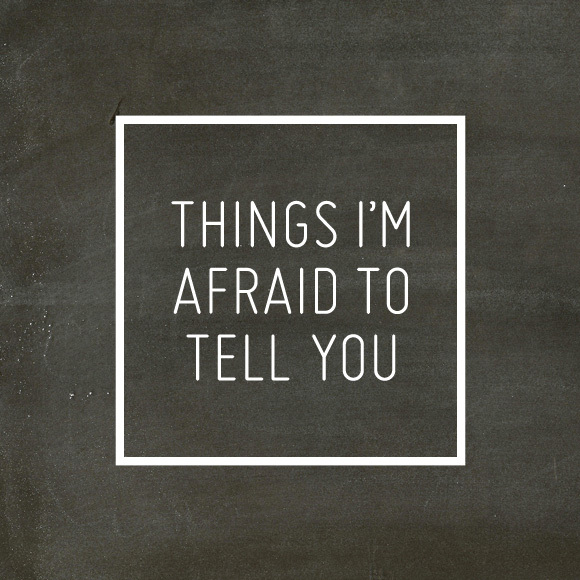 Things I'm Afraid To Tell You. 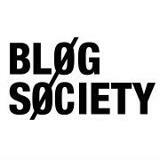 Have you heard about this movement started by a few US bloggers? It's all about sharing things on your blog you would normally hide and getting rid of this notion of perfection blogging. When I first read about it I instantly connected with the idea of confession. Something about throwing caution to the wind and exposing your vulnerability was both thrilling and horrifying at the same time. In true fearful Jaclyn style, I filed the email away so that I could think about whether or not I actually had the guts to write something. Of course I wanted to. I just didn't know if I could or would. This little blog is just a small blip in the blogosphere but even i sometimes feel ridiculous of how life can appear on this blog. I cringe reading back some of my posts where all i do is talk about strolling around the block, quick dips in the ocean or another delicious dinner at some beach side restaurant. Is this really my life? Perhaps it represents a very, very small sliver and while I'm so grateful for the beautiful and lucky world that I live in, the reality is that my life is mostly messy, boring, mundane and just as wonderfully crazy as anyone else. I just choose not to show you most of the crazy bits. You don't get to see the dusty corners, dirty dishes, days when I'm homesick and feeling sorry for myself and all the other less than perfect, not so bloggable moments that make up my life. I'm easily afraid. Of failure, rejection, missing out, losing out. Of regret. I really fear regret. I don't know what I want to be when I grow up. And I'm actually okay with that. I'm pretty happy with where I am at the moment and am in no rush to plan away the years ahead. I never really thought that I'd be where I am today, sometimes that's a good thing and somethings I feel like I've missed out on what I hope I'd achieved. Then I step back and look at the steps that brought me to this place and realise that I'm exactly where I'm supposed to be. Some days its just harder to realise this than others. I'm my own worst enemy. My self doubt when not kept in check can be debilitating. For a mostly confident person I can really get down on myself at times and its extremely irritating. I like being alone. I am perfectly comfortable spending time by myself and secretly cherish those moments when Jimmy is out of the house and I get to lounge around in daggy clothes, listening to cheesy music or watching bad television. Despite trying really, really hard not to, I care far too much what people think of me. And finally, I'm 33 and I actually like that One Direction song. Like, a lot. Wow, this felt great....way better than therapy. Hope it wasn't too heavy but thanks for listening. love this! you are not alone on the cherishing time to yourself. That is one thing I learnt, and now completely love. To jump on that skateboard and cruise. Thank you for sharing, as in doing so you actually make others feel like they are not alone. :) I have heard that one direction song, now i am tempted to listen again. The other day I wrote a post and talked about my baby's eczema, I questioned whether to put it in there cuz it wasn't 'pretty'. Now I may not have delved as deep into the personal as you went here but I figure it's something, huh. Reality is good. I think I might strive more for this same idea too. You know, I do like to know something about the person behind the blog. I find it makes it more "real" to me - not just some fab design-y life. On another note - Sydney! Never been to Oz but the man spent six weeks there a number of years ago. It's on the "list" of places to travel to. I DID live in RSA for two years to at least I was in the same hemisphere at one point. I love this movement. I think I've often gone too far in the other direction -- talking down my achievements. Embarrassed of the state of my house, the crap in the background of a photo, the suburb I live in -- and pointed it out so that no one else will. I'm trying to stop doing that. Nice to discover your blog anyway. WOW! We are so much alike! I too enjoy being alone! Wanna be friends?! LOL I'm in my 50 and still do not know what I want to do when I grow up! Oh well, still time to figure it all out! BTW, nice meeting you on BYW 2.0! Cheers! Why is it that liking being alone is something we all feel embarrassed to admit? I am married with two kids under 4 so alone time for me is gold, but I mentioned it to a friend the other day and she gave me this look of pity like it's something I suffer from!! Funny how we all feel like we should be doing something productive 24/7. Great to see you list it. Also a BYW 2.0 classmate, love your blog. Popping over from BYW2...Just enjoying some time here. Thank you for your honesty and having the courage to write this post. I can honestly relate to all the points you make, especially the worst enemy part. Ugh! It IS so irritating. this is a great post! i think a lot of feel this way, and we need to be more honest with each other! such a great post Jaclyn - one that we can all relate I am sure!